A popular song recently released by Tenth Avenue North starts with “Why are you striving these days, Why are you trying to earn grace”. This is the modern doctrine of grace – basically, there is nothing we can do to earn salvation, because of our utter depravity as the result of the Original Sin – that is, the sin of Adam and Eve, which has made us completely and totally sinful and unable to do anything good in the sight of God. Is this true? Well, in a way this is true, but the way it is expressed in modern Christian ideology is completely unbiblical. It is true that once we have sinned even once we become unholy and unworthy, and that we can only achieve salvation by the grace of God through the sacrifice of Jesus the Son of God through His death and resurrection. 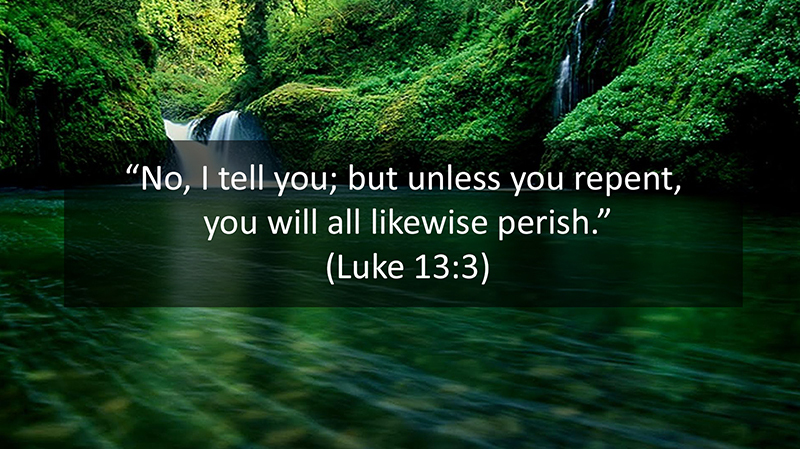 I believe this way of thinking is a deadly evil, and could even very possibly cause someone to lose their salvation – or if not, will most certainly cause them to fall out of favor of the Most High God. The Bible is filled with evidence that God does, absolutely, value people behaving and acting in a way which pursues good acts, godly ways of thinking, and striving to please Him. The modern doctrine of grace, however, is an utterly corrupted, even demonically inspired doctrine which causes people to stop trying to please God and to stop trying to pursue being good – because after all, it “doesn’t matter what we do because it is all covered by the blood of Jesus”. It may shock you to hear what I’m about to say next. It may shock you, because you have been indoctrinated since you were a little child by the modern church and all its rhetoric, which has led you into a false and unbiblical way of thinking. So what I am about to say is this: the Bible does not support the ideology that it does not matter what we do here on Earth and that all our sins are covered by the blood of Jesus no matter what. The Bible does not support the doctrine of total depravity. The Bible actually says the opposite of most of the modern doctrine of Grace. Where do you get your knowledge of the Bible? Is it from reading and studying the Bible, or is it from listening to humans who are only telling their own indoctrinated interpretations of the Bible? We have been trained and conditioned in our western society to accept whatever the authorities say. It is in fact very similar to the ideology of the Roman Catholics when the Catholic church believed that priests had the authority to interpret scripture and the Pope was infallible. And we know how that turned out – the Protestant Reformation put an end to the corruption that was a result of that. It is very important, critical in fact, that you ultimately get your spiritual doctrine directly from the source. Ministers and interpreters of the Bible are not the source. 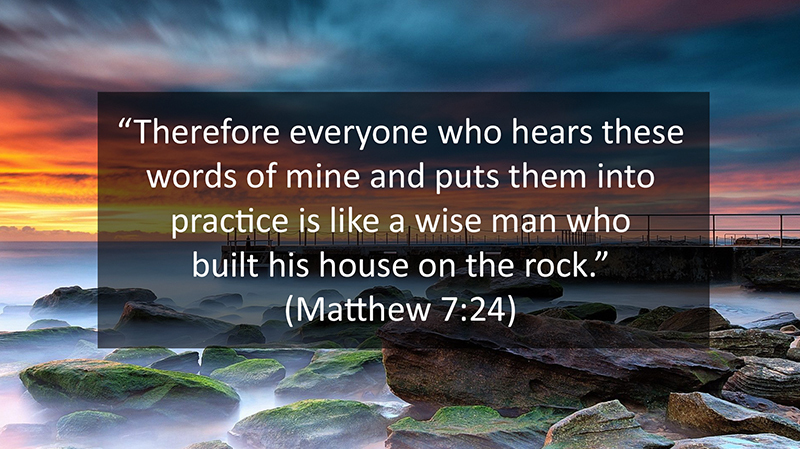 The source is the Bible itself, and spending time daily in prayer with God and letting the Holy Spirit speak to your heart through the scriptures. Why do you think that this world has become so corrupt, especially this country, which was originally founded on Christian ideologies? I will tell you that personally, the people who have hurt me the most in my life were people who called themselves Christians. I believe this to be because the Christians of today are following this terrible and dangerous doctrine of grace. By believing that it doesn’t really matter what we do on this Earth because it is “washed away by the blood of Jesus”, what this does is make people complacent. Supposedly Christian songs are even telling people to stop trying to be good! You might say, “well they didn’t mean that, they just meant you can still try to be good but just stop trying to do it to earn God’s grace”. Well if you are not striving to fight your sinful urges to please God, then to what end are you trying to be good? 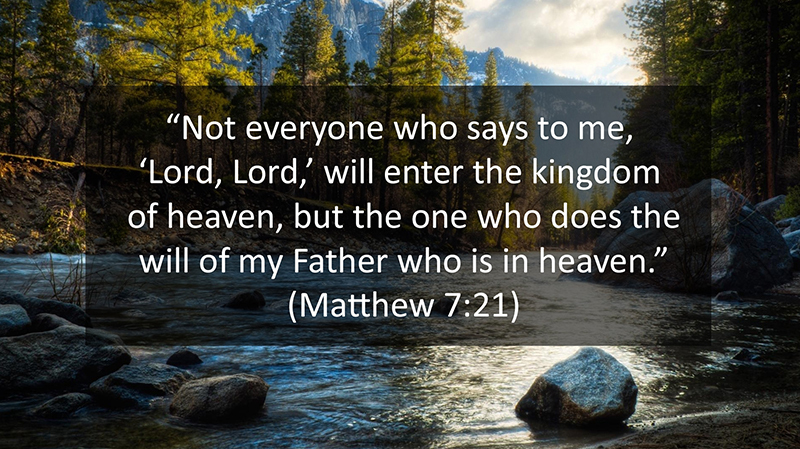 The reality is that the very way that we can conquer our sinful behaviors is to live a life of seeking God and working to please God in everything we do, every day. However, the doctrine of grace and the doctrine of total depravity, which both go hand in hand, create cognitive dissonance. It just doesn’t add up. On one hand, this doctrine says that anything we do that is good is not pleasing in God’s sight, because of total depravity, because even our greatest works are like filthy rags; and this downplays the importance of good works and kind of lets the air out of the balloon, so to speak, it removes motivation to work to be good. This is one reason, I believe, that so many Christians can be such heartless, undisciplined, even cruel people, who at the end of the day of yelling at people, cursing, and treating everyone in their lives like complete trash, they pray to God, “oh, please forgive me for my sins God, I was so bad today.” And then the next day they do the same thing. 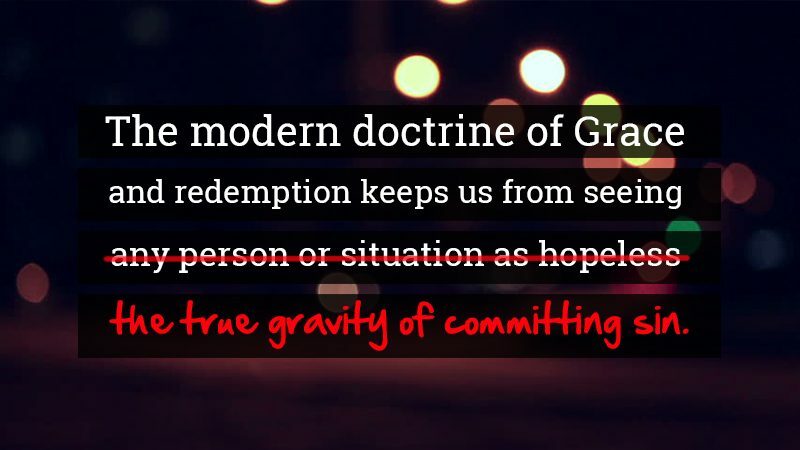 On the other hand, the doctrine of grace does the same thing in the opposite way regarding the weight and gravity of sin. Whereas the doctrine of total depravity makes it feel pointless to do good because we are supposedly such utterly depraved and evil people at heart as a result of the Original Sin, on the other hand the complementary and similarly dangerous doctrine of grace downplays the weight and gravity of our sin in the eyes of God. By taking the approach that since we are saved we are now magically covered by the blood of Jesus no matter what we do or how we behave, this dangerous doctrine is trying to eliminate the godly feelings of guilt for sinfulness. Guilt when one sins is the evidence that God has given us to show us the difference between right and wrong. Guilt is a godly feeling because it means we know that we did something wrong, and now we need to make it right as well as not do that wrong thing again. However, the doctrine of grace is literally teaching people that we don’t need to feel guilty anymore. Since we are “covered by the blood of Jesus”, there is no more guilt for sin, we are washed clean by the blood of Jesus, we were like a filthy rag and now we are white as snow. Although it is true that this verse, “white as snow”, was taken directly from the Bible (Isaiah 1:18), conversely, like the great deceiver Satan loves to do, this is twisted out of context. The doctrine of grace is trying to tell people that we don’t need to feel guilty for sinning. However, is this Biblical? Absolutely not! Nowhere in the Bible does it say that we shouldn’t feel guilty for sinning. In fact, by suppressing any feelings of guilt, we remove the motivation that we need in order to be compelled to stop sinning. I believe that the Holy Spirit uses our guilt to tell us that we are in the wrong. If we ignore that, we ignore God. The doctrine of grace is trying to quite literally remove our feelings of morality and our ability to discern between right and wrong. As a result, it is creating new generations of people who have no sense of morality, and who continue to sin by thinking ungodly thoughts, treating people like trash, and indulging in immorality, without feeling guilty about it. When someone refuses to feel guilty about sin, they have suppressed the very God-given motivation to stop sinning. Essentially, the doctrine of grace is teaching people that it’s ok to sin. No, it doesn’t say this directly, this is where the cognitive dissonance comes in. Cognitive dissonance is when there are two conflicting ideas in someone’s head, and these conflicting ideas cause a person to be confused, and “cognitively dissonant”. It doesn’t add up, it doesn’t make sense. On the one hand it says that sin is evil, but on the other hand it is saying the sin doesn’t matter. It cannot be both! The modern interpretation of the doctrine of grace and the doctrine of total depravity are false and unbiblical. They are even very possibly demonically inspired. In fact the Bible says very clearly in Hebrews 10:26 that anyone who continues to sin after receiving knowledge of the truth, then no sacrifice is left! 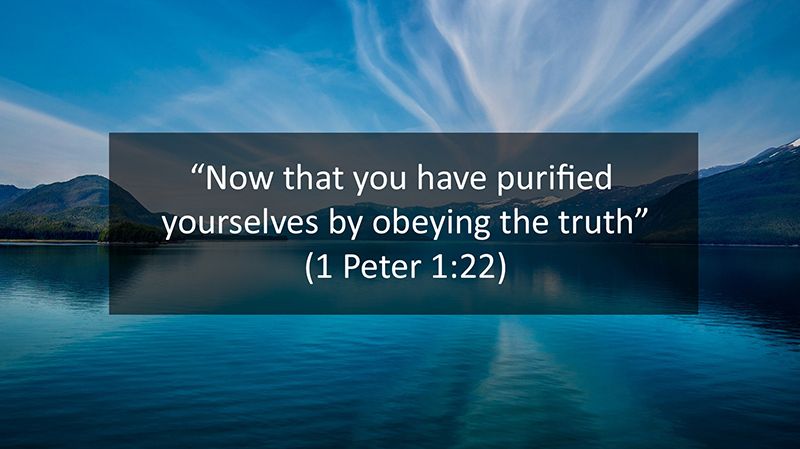 In other words, the Bible is telling us that if we take on the modern doctrine of grace and stop feeling guilty about our sins and as a result continue sinning even after knowing it is evil, then very possibly the Bible may be telling us that we cannot receive salvation by doing so. 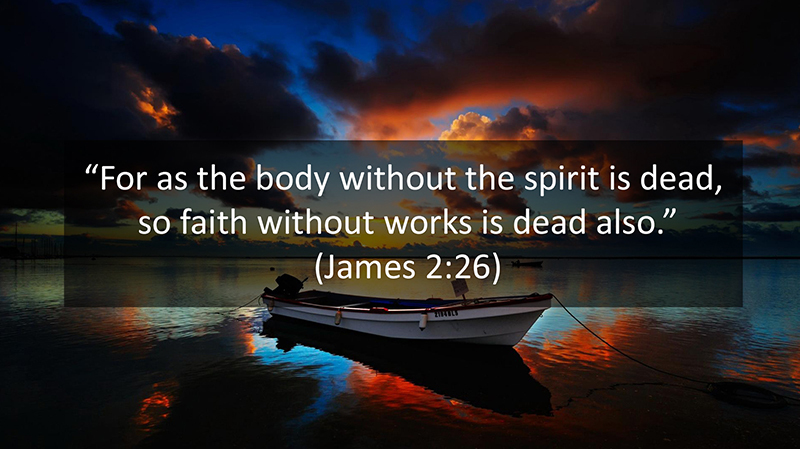 Jesus repeatedly stressed the importance of physical works as a requirement for being a Christian. 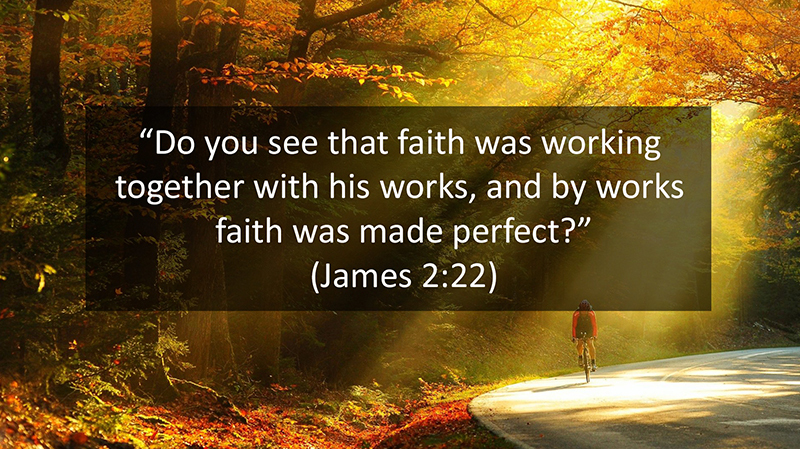 Jesus never said that your good works were like filthy rags in the eyes of God. If Jesus really believed that, there would be no reason for Jesus to repeatedly, over and over and over, give story after story and show example after example of how important it was for people to do good works. Paul and other writers in the New Testament also followed this same example. In summary, the modern interpretation of the doctrine of grace and the doctrine of total depravity are both deadly, evil ideologies that cause Christians to act and behave in ungodly ways and distance Christians from the real grace of God. It opens doors for self-proclaimed Christians to adopt evil ideologies of “tolerance” and “acceptance”, when referring to such things as the detestably evil lbgt movement, abortion, and other evil liberal ideologies. And it has opened up the door for sexual immorality to become rampant in our society. Somehow along the way, possibly when the modern church accepted the unbiblical ideology of total depravity, the original doctrine of grace became corrupted and twisted to be something completely different than God ever intended. It has caused Christians to be reviled and hated by non-Christians because of their blatant hypocrisy and terrible, ungodly behavior. 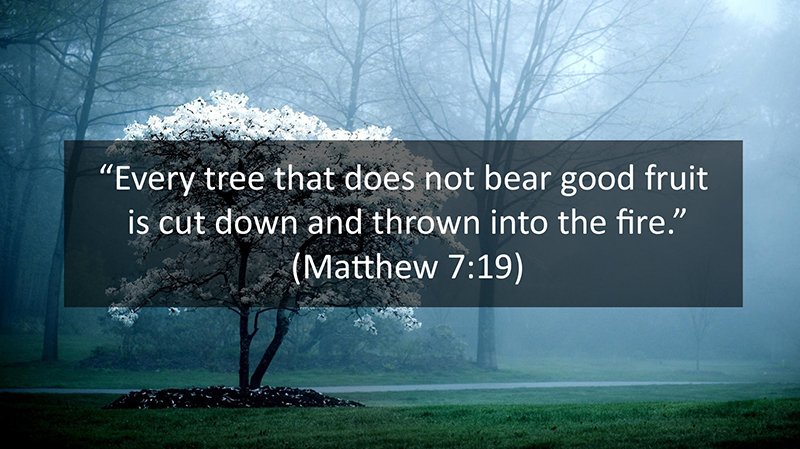 It has caused Christians to fall out of favor with God by their ungodly and hypocritical behavior and ideologies. 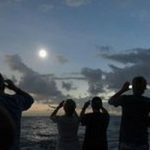 By downplaying both the gravity of human sin, as well as the importance of good works here on Earth, it has caused Christians to lose what it means to be a Christian, snuffing out the light that is supposed to shine within all of us, a light to show the world the light of God through our actions and behavior. 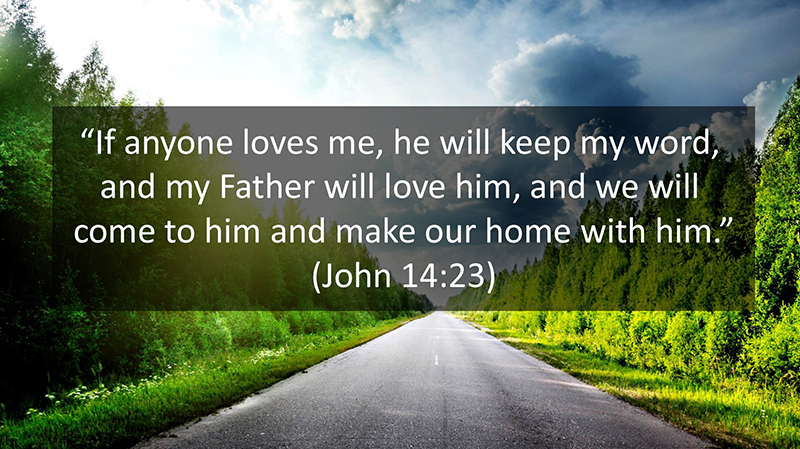 So let me leave you with one thought: who do you think God is going to be more pleased with? Christian A: The Christian who strives their whole life to be good and constantly trying to please God, working every day with everything they do, and beating themselves up (emotionally) every time they sin? Christian B: Or the “Christian” who says to himself, “well I know I am covered by the blood of Jesus, so I don’t need to feel guilty about it”, and does not try to please God because they don’t believe that their good works really matter that much to God except to maybe store some treasures in heaven, and represses all the guilt from their sin because they do not want to feel sad whenever they sin? If you know the Bible, then the answer to this question should be very clear to you. What is the difference between these two Christians? 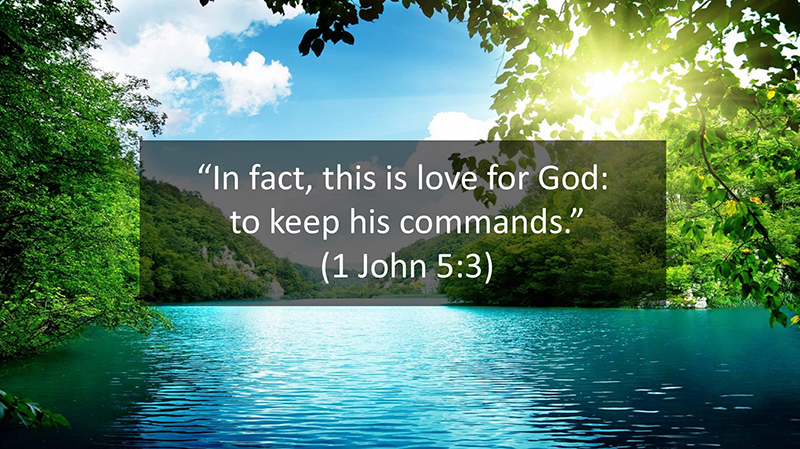 The first Christian has their focus on God, and is not concerned with their own personal feelings but instead is focused on the feelings of God. The second Christian, on the other hand, is focused more on their own feelings and wants to be pandered to. They don’t want to feel sad when they sin, because they care about themselves more than they care about God. So who is going to please God more? Well, the first Christian, by their constant focus on God’s wants and needs, and by feeling guilty and compelled every time they sin to not ever sin again, is going to maintain a constant spirit of humility and brokenness. So back to my examples of the two Christians, one who follows the modern doctrine of grace and total depravity and one who does not, the one who does not (the first one) is behaving like the tax collector, whom God was pleased with. So according to the Bible, it is ok to feel bad about sin, even pleasing to God. Modern churches are trying to teach people not to feel bad about sin because it is “covered by the blood of the lamb” and “there is nothing to feel guilty about”. But the Bible says something completely different. The Bible says that the heart which is very concerned about sin and which feels very bad about sin – “broken and contrite” are the words of the Bible – this is pleasing to God. Not the person who says, “I am holy because Jesus washed away my sins, thanks God that my sins don’t matter because of the blood of Jesus”. No, that is actually a prideful way of thinking, and is actually displeasing to God. The modern doctrine of grace has come to adopt the same ideology adopted by liberals everywhere, which is dreadfully ungodly, the same feel-good, pandering, prideful, “it’s all about me” ideology which says that each person needs to be focused on feeling good, the ideology that allows horrifically detestable evils like the entire lbgt movement, so-called gender equality, and even now the absence of gender? Ridiculous. It might seem shocking for you to hear the doctrine of grace compared with the doctrine of the evil lbgt movement, but if you think about it honestly you will notice very distinct and clear parallels. Really, at the heart of both the modern feel-good doctrine of “grace”, and the lbgt movement, and abortion, and so many other issues, are all rooted in the very same ideology – the ideology that humanity believes he can be on par or better than God. It is the same self-centered ideology that the serpent in the garden of Eden used to deceive Adam and Eve to take a bite of the forbidden fruit. “God lied to you, you will actually be like God if you eat of the fruit”, the devil said to Eve. At the heart of this is the temptation of self-glorification. It is the same ideology that now, around 6,000 or so years later, is still infecting the world, and is at the heart of all the evil of today’s society. So back again to the example of the two Christians, who do you think pleases God more? The broken-spirited person who feels tortured for their sin and constantly is fighting to be more godly, trying to please God? Or the person who doesn’t care because they are covered by the grace of God, their sins don’t matter because the blood of Jesus washes away all sins, as the modern doctrine of grace teaches? When reading that second sentence don’t you get that feeling like you were straightening up inside, maybe a feeling like a smile was coming on, or maybe you actually smiled? The feeling like you wanted to turn your head up? That is the feeling of pride. The “swelling of pride”, to be “puffed up”. So why do you feel that pride when reading about the doctrine of grace? Something doesn’t add up. A God-inspired doctrine would not cause a person to be prideful, because pride is one of if not the sin that God hates the most. The Bible warns against pride from the very beginning all the way to the end. The entire Bible is filled with evidence of how much God hates and punishes pride, and rewards humility. So if there is pride from the modern doctrine of grace, then it cannot be something inspired by God. Instead, it is likely inspired by the devil, a demonically, dreadfully evil ideology designed to separate the children of God, Christians, from their heavenly Father. It is an ideology designed to drive away Christians from the favor of God, and to use Christians as tools to cause non-Christians to hate Christians and by extension to hate God. And it is a tool to prevent agnostics from coming into the grace of God, by causing Christians to be a negative example, so that the devil can keep as many non-Christians from turning toward God as possible. The modern doctrine of grace and total depravity are dreadfully evil doctrines that are not inspired by God. They cause Christians to not only drive themselves away from God, but also drive other people away from God by their hypocritical example. It is time that Christians wake up and stop following after this evil doctrine and start turning to God in humility and repentance, daily seeking to grow and strengthen their relationship with God as well as become spiritually disciplined and disciplined in behaviors and actions. 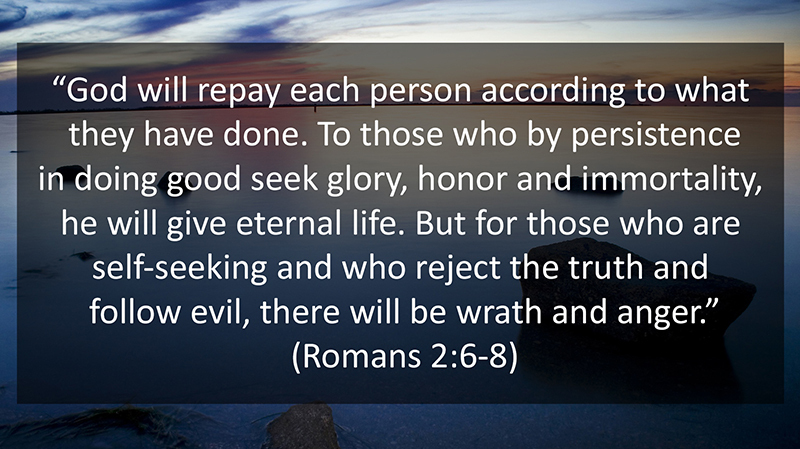 It is time people reject the doctrine of total depravity and recognize that God truly does value good works. 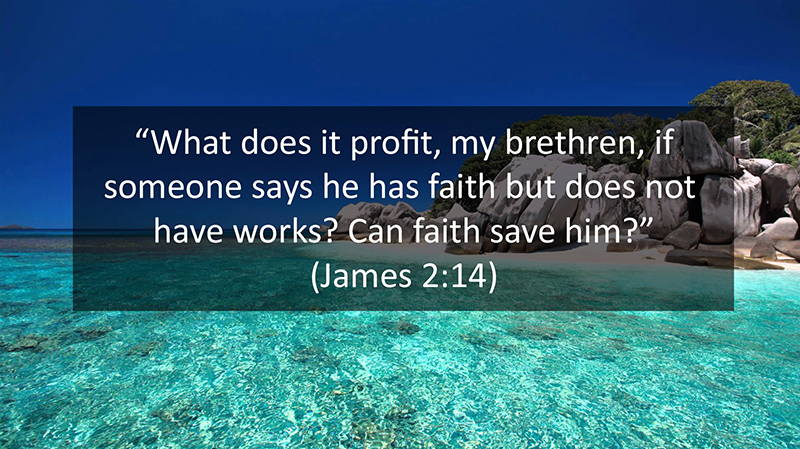 Will good works gain you salvation? Not alone. 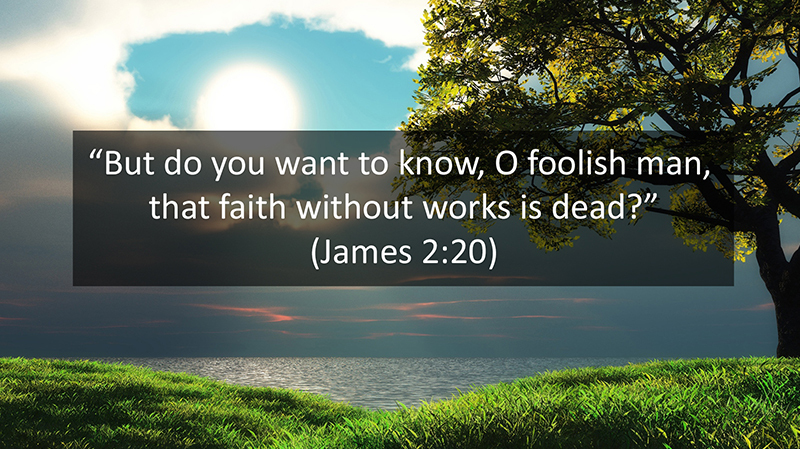 Faith without works, however, is dead. You cannot have one without the other. Good works are critical to our life on Earth, and we cannot any longer tolerate this evil doctrine of total depravity. And the modern doctrine of grace can also no longer be tolerated, as we should no longer puff ourselves up or pander to our emotional feelings and try to feel good in spite of sinful behavior. Christians need to wake up and realize the destruction that these dangerous ideologies are wreaking on our society. We need to wake up before it is too late and God removes his favor from our people and our country. We need to wake up and realize the importance of both good works and the gravity of our sin. Our sins are not magically washed away unless we change our behavior. Repentance is not just a feeling, it is an action. If you say “I’m sorry” to God but then never change your behavior, according to the Bible then your words become meaningless because your actions say otherwise. 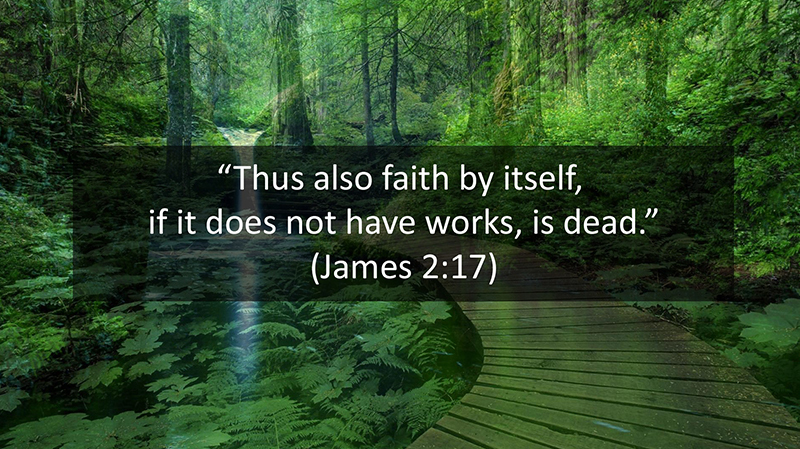 This means that good works are indeed a condition of salvation, because if good works are required as a part of faith, and by faith we are saved, then by extension, good works are a requirement of salvation as well. It is true, good works alone will not earn salvation. That is the other extreme. You cannot have good works alone to earn salvation, but you cannot live your life in such a way that neglects good works because of the belief that grace alone is salvation. Such a belief is evil, unbiblical, and false. Neither works alone nor grace alone are the entrance to heaven. 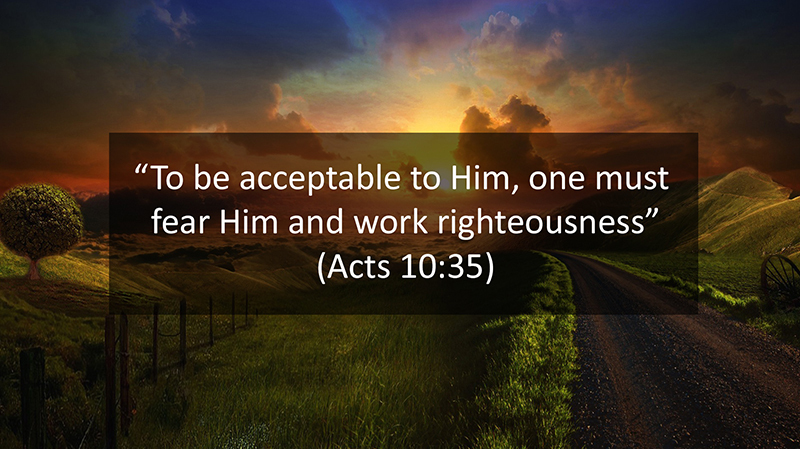 Both are required, and God will not extend his grace to you unless you turn and repent. You cannot repent by just saying “I am sorry”. This is not repentance. Repentance is a heart change, and this heart change will have a direct influence on your life, on your actions, if you really did have a heart change. You cannot have life change without works. Works are a critical part of salvation, because without repenting and turning from your sins, God will not extend his favor to you, and you will not receive grace; and without grace, you cannot be saved. Does Humanity Really Have Free Will?